This post contains affiliate links. MamaBreak may make a commission from click thrus on this post. 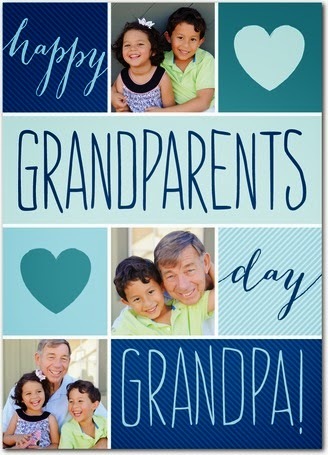 Did you forget it was grandparent's day this coming weekend? Me too! Time to send a Treat card! And when they are FREE, why not? Free to any new customers (they will ask for your CC, but the charge will be $0!) Just use code TREATNEW and your card will be FREE!!!!! (Depending on your state, postage and tax MAY apply-- each person may have a different experience). Offer expires 9/10/2014 at 11:59 pm (PT). Enjoy one free greeting card using code TREATNEW at checkout. Customer must be a first-time Treat customer and credit card information is required for validation. Postage and tax may apply. This offer is valid for one transaction only and any quantity not used in the transaction will be forfeited. Offer applies exclusively to greeting cards and is not applicable to gifts, gift cards, Treat Card Club packs, previously placed orders, taxes or postage fees. Offer is only valid ontreat.com and cannot be used on the Treat Cards for iPhone app or partner websites. To prevent fraud or abuse, we reserve the right to discontinue or modify this offer or cancel any order.